I love giving talks and retreats- and lately, even teaching a short class or two- because it is where I get to share more fully the deep connections between art and faith- and more importantly, hope and joy! To me, life is all about seeing familiar, ordinary things with new eyes, the eyes of the heart. Here you will see some of my frequent favorite topics as well as the schedule for when and where I am presenting them. Feeling stressed these days? 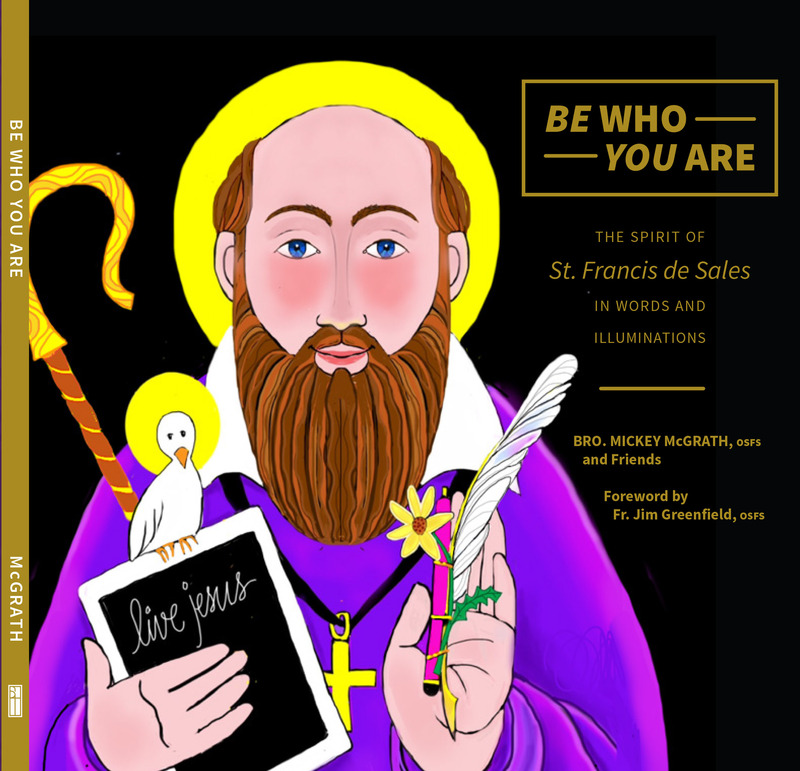 Artist and author, Brother Mickey McGrath shares his colorful images of Salesian optimism and joy from his award-winning book, BE WHO YOU ARE, the spirit of St. Francis de Sales in words and illuminations. 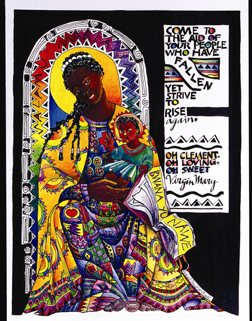 Black Madonnas have been venerated as sources of healing and inspiration for centuries. St. Ignatius’ life was changed when he prayed before Our Lady of Montserrat in Spain. 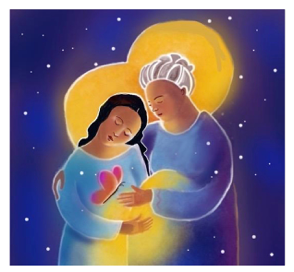 In our own anxious times of racial and religious strife, we need Mary’s wisdom and peace more than ever. 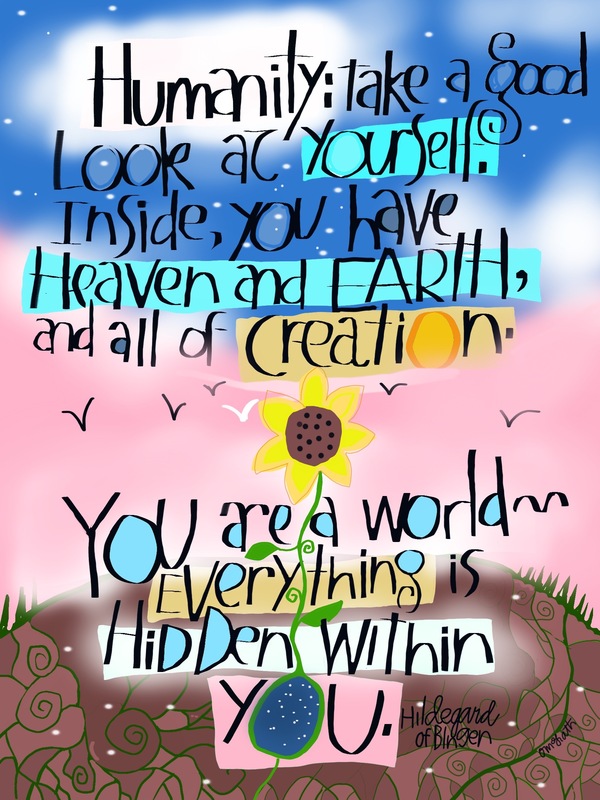 You don’t have to be an artist to enjoy this creative day of contemplative prayer. This hands-on workshop teaches even non-artists how to create simple mandalas for prayer and meditation – with crayons and markers. Art and stories for all seasons! A holy and heartwarming celebration of Saintly heroes from Gospel days to our own times, that will bring new awareness of God’s presence. 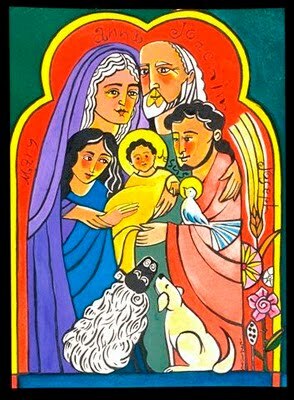 Whatever the season, there are plenty of saints who inspire and remind us of God’s mercy and love. A celebration of Senior Saints and Wisdom Figures from Gospel Days to our own times. Brother Mickey shares his paintings and stories in celebration of the second half of life and gift of becoming our true more mature selves. This a look at silver haired saints who remind us what a treasure the golden years really can be, if we let them. The perfect retreat, whether you feel joyful and sassy or creaky and cranky. 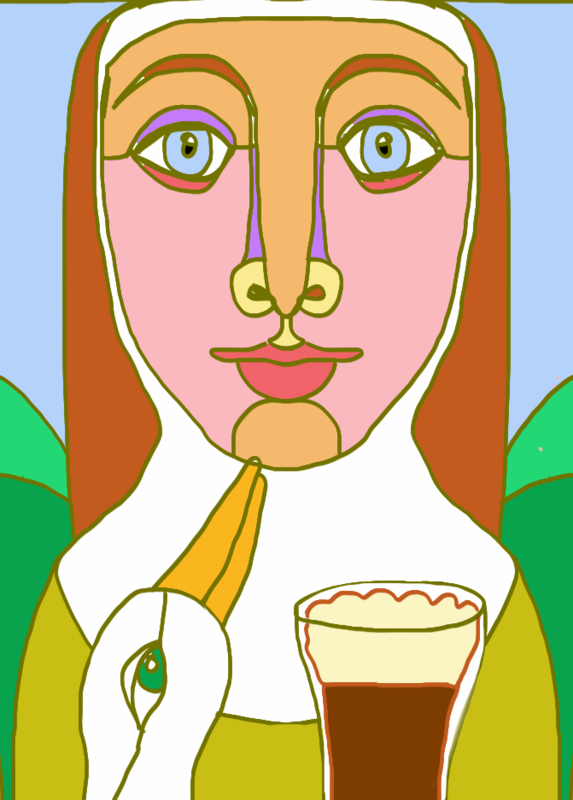 Irish or not, who wouldn’t fall in love with St. Brigid of Kildare who envisioned heaven as a great lake of beer? With the great saints of Ireland and their beautiful homeland as a backdrop, Bro. Mickey shares his paintings and the stories behind them to highlight the basics of Irish Celtic Spirituality. 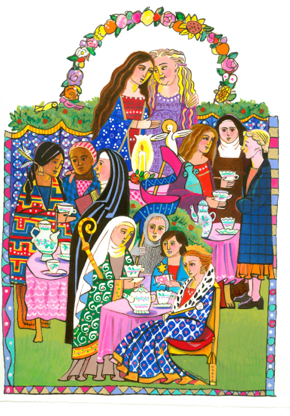 An insightful look at creative women wisdom figures throughout generations of church history. 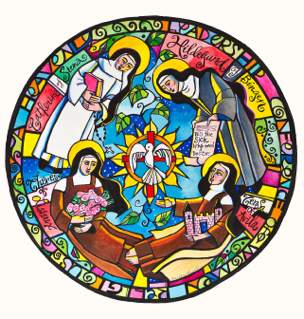 Participants explore the lives of saintly women from scripture until today whose joyful determination can still inspire us.